WHEN eating watermelon, you must throw away the white meat. That part is more often end up in the place of waste than consumed. The part between the green skin and the red watermelon fruit flesh is indeed tasteless and a little hard, not as good as the fruits are crispy, sweet, and watery. Although it tastes bland, it turns out the white part that has benefits for your body. According to the Journal of the Science of Food and Agriculture, in the skin and flesh of white watermelons found citrulline compounds that act to repel free radicals. The compound can also be converted to amino acids that protect the heart and immune system so that it is powerful to keep the body from harmful toxins. Watermelon white meat can also help men with mild to moderate erectile dysfunction. 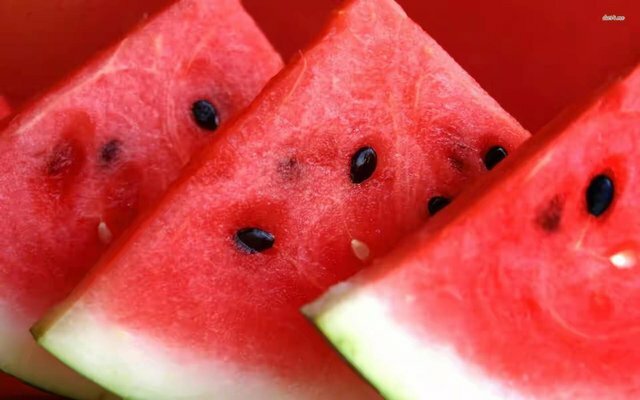 Research from Texas A & M 's Fruit and Vegetable Improvement Center notes that citrulline in the skin of watermelon can also make blood vessels relax so that both help the erection. Because of his abilities, the white flesh of natural Viagra watermelon. Eating watermelon white meat can be the answer for those of us who want to control blood pressure. Some studies have shown that watermelon can help control blood pressure and diuretics (increase urine production) so it is suitable for people with high blood pressure. Research shows that eating foods containing citrulline compounds can reduce 30% chance of weight gain. This is because these compounds can make blood vessels and muscles become relaxed so that people who exercise will feel less tired and can extend the duration of their practice. Low-sugar, low-calorie, white-watered white melon meat. This part is also rich in vitamin C and vitamin B6 needed by the body every day. In order to be consumed, watermelon white meat can be processed in various ways. This white meat has a cucumber-like texture that is suitable to be pickled. Add salt, sugar, and vinegar to a piece of watermelon-white meat and leave it all overnight. The tasteless taste will be replaced by the delicious pickle freshness. Alternatively, add to the fruit juice for a healthy drink in the morning. Blender with yoghurt, milk or other fruits. That way, you will be able to get good nutrition from the watermelon's white meat, but with a delicious flavor and a fun way.